This conference is not a showcase for any single project or institution but an opportunity for all to gather in an open and collegial spirit. BWI is pleased to participate as a partner organization for the translation and transmission conference organized by Tsadra Foundation. BWI is strongly committed to advancing the state of translation and transmission from Tibetan and Sanskrit sources, to standard setting and peer review processes geared to that end, to mentoring and training new generations of translators, and to collegiality and community building among those persons and organizations sharing our goals. To sign up for this conference, please click here. 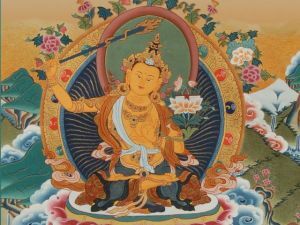 This synthesis of the mind essence teachings is best expressed in his masterpiece known colloquially as The Aspiration Prayer of Mahamudra.This prayer, in just a short set of verses, conveys the ground, path and fruition of the path to enlightenment, as well as how qualities of love, devotion and compassion deepen our realization of the nature of mind, and of all things.